The Yuuzhan Vong (Literally translated "Children of Yun-Yuuzhan" and sometimes incorrectly abbreviated 'Vong') were a race of extra-galactic sentient beings. One of only a few alien species known to originate from outside the galaxy (the only known others being the Abominor, Kwa, and Silentium), the Yuuzhan Vong were completely foreign in every respect. 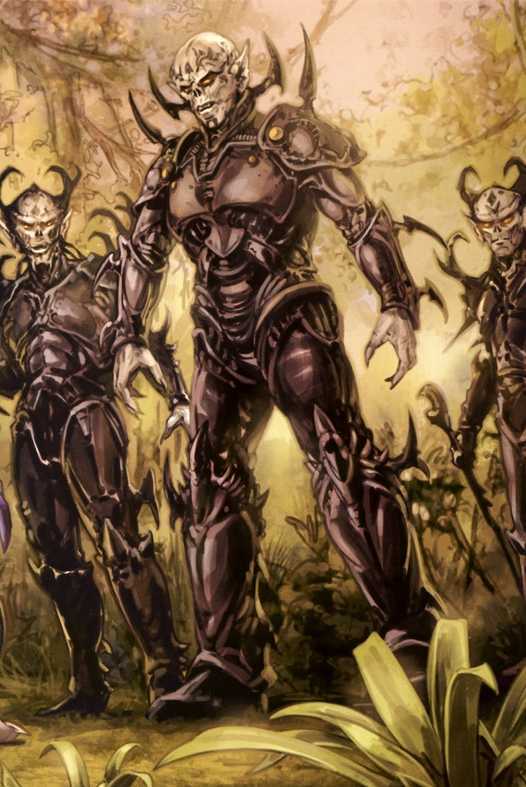 The Yuuzhan Vong were similar to humans, though they were generally taller and heavier than an average Human, and had less hair, but the similarities ended there. The Yuuzhan Vong ships and equipment were grown by their masters, and known as biots (The word "Technology" being a blaspheme against the Yuuzhan Vong gods). Their biots were completely organic and genetically engineered. Additionally, the Yuuzhan Vong respected pain to the point of masochism, and ritual mutilation and organ grafting to enhance their physical capabilities was common practice. Such grafting was a status symbol of Yuuzhan Vong society. Perhaps the most unique aspect of the Yuuzhan Vong was that they were unable to be sensed or directly affected through the Force. The Yuuzhan Vong were a humanoid species; bipedal, two arms and one head - initially leading many to believe that they were a near Human race, but this was incorrect. The average Yuuzhan Vong typically were much taller and had heavier builds than the average Human, and they did not have kidneys. Yuuzhan Vong also had very short, stubby noses which caused their faces to resemble skulls. Yuuzhan Vong had a life span longer than that of the average Human, averaging around three times that of a Human's. Yuuzhan Vong engaged in ritual mutilation, masqueing their original features beneath a lattice of scars and tatooes. Some Yuuzhan Vong were seen with pointed ears, while just as many had been seen without them. In terms of scars and ritual deformations, there was little conformity. Small blue sacks could be found beneath the eyes of a Yuuzhan Vong, and were considered marks of beauty in their culture. They would expand or contract, depending on the Yuuzhan Vong's mood, as the Yuuzhan Vong did not often use facial expressions to convey their mood. A typical Yuuzhan Vong would have skin ranging from gray to a pale yellow, although this may have been the result of a standardized self-mutilation. Unlike Humans, Yuuzhan Vong blood was jet black when exposed to oxygen. Their nervous systems were very conductive, almost as if they had been made for feeling pain. Perhaps the most unique trait of the Yuuzhan Vong was that they were 'outside' the Force as the Jedi knew it. They had no Force Presence, and were unaffected by most Force powers that were targeted directly at them (but they could be affected inderectly; a table thrown telekinetically would still hurt them). Strangely enough, Force Lightning was the only power that seemed to be able to directly affect a Yuuzhan Vong. While supposedly existing "Outside" the Force, the Yuuzhan Vong were, in fact, the result of a Wound in the Force. The death of the symbiotic relationship they had with their homeworld - The Force-sensitive planet, Yuuzhan'tar - caused a wound that set the Yuuzhan Vong apart from the rest of the Force; possibly in a new aspect of the Force. Some Jedi developed "The Vongsense", that allowed them to sense the Yuuzhan Vong and their biots in a similar fashion to the way they would sense an ordinary being with the Force. However, no Jedi was able to discover how to use the Vongsense to directly affect a Yuuzhan Vong. "The ancient texts are unclear. It appears we were invaded by a race that was more technological than animate. We called on the gods for protection, and they came to our aid, providing us with the knowledge we needed to convert our living resources to weapons. We defeated the threat, and, empowered by our victory, we gradually became conquerors of other species and civilizations"
The Yuuzhan Vong were a species who dwelled in a biological symbiosis with their homeworld, the living, sentient planet Yuuzhan'tar. They were a peaceful species, who valued nature above all else, and did not use synthetics. Yuuzhan'tar provided all needs for the Yuuzhan Vong, using creatures and natural resources, and were each naturally Force sensitive. Two completely synthetic species, the Silentium and Abominor, waged war with one another in a battle that raged across the Yuuzhan Vong's home galaxy. Yuuzhan'tar was hit with collateral damage, and it taught the Yuuzhan Vong how to create living weapons and starships, called Biots. However, as they fought back against the two robotic races and the war waged on, the Yuuzhan Vong's innate Force sensitivity caused much of the race to become servants of the dark side. The Yuuzhan Vong became increasingly violent and warlike. 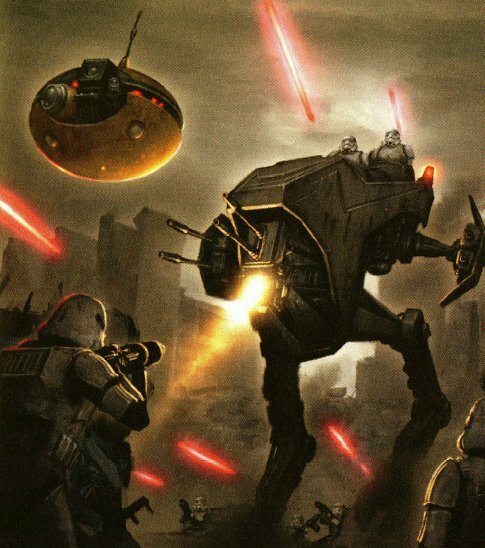 Eventually, they were able to defeat both the Abominor and Silentium, and forced both droid powers from their galaxy. After the war, the Yuuzhan Vong took their newfound hatred of technology to a new level, and waged a holy crusade to cleanse their galaxy of all forms of mechanical technology. 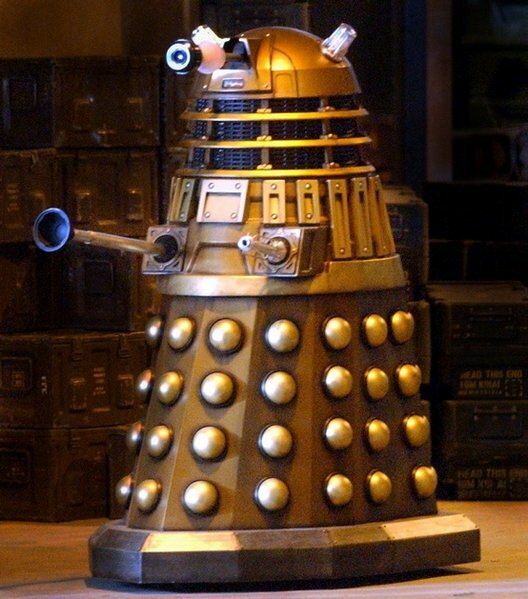 During their crusade, they conquered many species, such as the Chazrach, and exterminated countless others. With most of their galaxy now under their control, the increasingly warlike Yuuzhan Vong turned on each other. The various house Domains fractured and waged war against each other in a civil conflict which became known as the Cremlevian War. The brutal war destroyed much of the Yuuzhan Vong galaxy, and killed Yuuzhan'tar. Before it's death, Yuuzhan'tar did produce a seed, which traveled to the galaxy and eventually grew into the world known as Zonama Sekot. The death of Yuuzhan'tar created a Wound in the Force. The Yuuzhan Vong were stripped from the Force, and each individual experienced massive amounts of pain. The repurcussions were such that their galaxy was rendered almost uninabitable, as many forms of lower life was killed by the Wound. The Yuuzhan Vong themselves realized, in a way, the great horror they had commited. The Wound reshaped the Yuuzhan Vong beliefs forever. The species saw pain as the only way to get back to the Force-symbiosis they experienced with Yuuzhan'tar, and began practicing ritual mutilation and body modifications with their living Biots. In place of their homeworld, the Yuuzhan Vong began to worship several deities which eventually took on nearly every aspect of their new, perverted civilization. Despite the massive changes in the Force that took place in their galaxy, the Yuuzhan Vong Domains still waged war with one another until Warmaster Yo'gand invented the "Yo'gand's Core" tactic, which he used to destroy the planet Ygziir and its moon, resulting in the death of the rival Warmaster, Steng, and ending the war. Yo'gand united the Domains into a single feudalistic, caste-based entity and declared himself the first Supreme Overlord of the Yuuzhan Vong. Millenia later, Yo'gand's Core was used against the world of Serenpidal, resulting in the death of countless innocents, including the famed Wookiee Chewbacca, and was the first blatantly public attack on the galaxy. With much of their galaxy ruined, the Yuuzhan Vong began a long trek to another galaxy in search of a new home. For millenia they traveled through the Intergalactic Void in their massive worldships. During this period, the Yuuzhan Vong Domains once again waged war with one another in the void, and nearly destroyed themselves. Violence and competition had become a vital part of their society, and so in the void they focused that destructive energy on each other. Though none of the Domain Wars reached the magnitude of the Cremlevian War, the Domains continued to fight for the favor of each successing Supreme Overlord. After leaving their galaxy, the Yuuzhan Vong traveled for a very lengthy period of time. Some accounts had their journey taking several millenia. The first recorded contact with the Yuuzhan Vong was in 3,997 BBY, sometime after Exar Kun had declared himself the new Dark Lord of the Sith. An advance probe sent by the Praetorite Vong arrived in the galaxy, and as of 3,963 BBY, at least one scout had reached the Outer Rim. Around the same time, a group of Mandalorian Neo-Cruaders lead by Canderous Ordo encountered a Yorik-Stronha disguised as an asteroid in the Crispin system. When Canderous attempted to melt the methane surrounding the 'asteroid', the Yorik-Stronha woke up and fired on the Mandalorians. The plasma weapons melted the Mandalorian ships just as effectively as they did against later vessels used by the Empire and Galactic Republic. The probe turned and ran after the battle, and Ordo's Mandalorians were able to track its hyperspace trail to the edge of the galaxy. At some point between 229 and 89 BBY, Zonama Sekot, the living spawn of Yuuzhan'tar, arrived in the Gardaji Rift. In 32 BBY, around the time of the Naboo Invasion, an advance force of Yuuzhan Vong discovered Zonama. They noted the similarities between Zonama Sekot and their ancient homeworld and attempted to colonize and Vongform it, but were killed off by Zonama's biosphere. The enraged Yuuzhan Vong attacked the planet, despite Zonama's attempt to negotiate. The war was called off when Jedi Knight Vergere arrived on a different mission, and convinced the Yuuzhan Vong to leave. Her diplomatic victory cost Vergere her freedom, and she left the galaxy with the advance force as a slave. The Old Republic discovered very little of the events, and only then from Zonama Sekot's point of view, related to Obi-Wan and Anakin when they went looking for Vergere. 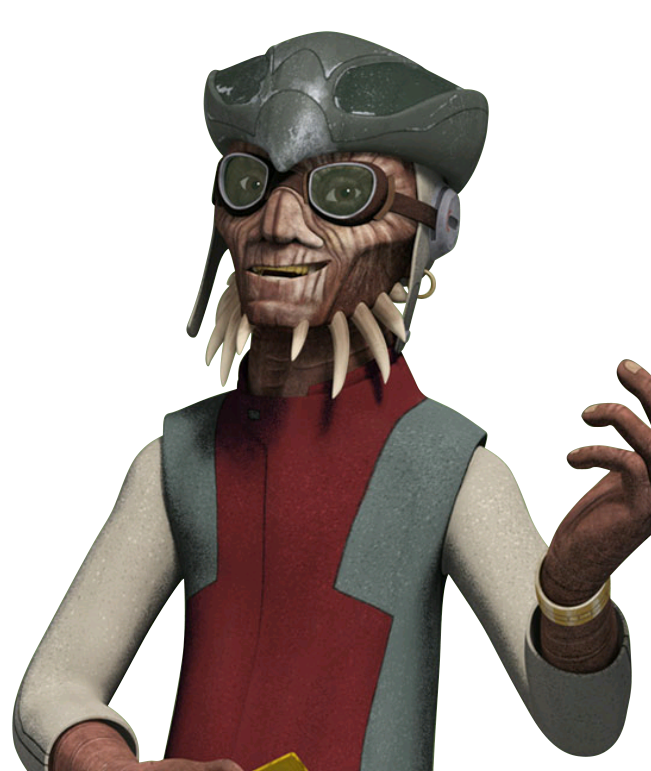 The references to the "Far-Outsiders", as Zonama Sekot called them, were tucked away in the Jedi Archives and eventually destroyed with Order 66. Three years later, in 29 BBY, Supreme Overlord Quoreal learned of Zonama Sekot's existance. Quoreal sent scouts back to speak with Zonama Sekot, but the living planet was mysteriously missing from the system it had inhabited earlier. Taking this to be a bad omen, the Overlord began to waver in his decision to invade the galaxy, and he gave orders to move on to another galaxy. His plans were for naught, however, when Shimrra Jamaane, under the influence of Onimi, launched a murderous coup and took Quoreal's place. The new Overlord declared that the invasion would proceed. Around 25 BBY, Yuuzhan Vong advance scouts established a small outpost on the world of Bimmiel, and served as a staging point as special operatives infiltrated the galaxy and kidnapped members of varying species. The sentients were brought back to the fleet and experimented on, and many were sacrificed to the various Yuuzhan Vong deities. From 25 BBY and on, Yuuzhan Vong scouts disguised in Ooglith Masquers infiltrated the galaxy to spy and sabotage their enemy; the Old Republic, the Galactic Empire and eventually the New Republic as well. After the formation of the Imperial Interim Council in 11 ABY, Yuuzhan Vong executor Nom Anor infiltrated the council and manipulated the leader, Xandel Carivus. Nom Anor caused the deaths of many Councilors and intensified the strife between the leaders of the Imperial Remnant. In 24 ABY the Yuuzhan Vong invasion began. The Yuuzhan Vong had many gods, and they were religiously devoted to them. Prior to their defeat, the Yuuzhan Vong believed it was their destiny to appease their gods' desires through conquest and genocide. Yun-Yuuzhan, literally translated the "Cosmic Lord", was the chief deity of the Yuuzhan Vong. According to their legends, Yun-Yuuzhan sacrificed parts of his body to create the universe, the lesser gods and the Yuuzhan Vong. To honor his sacrifice, the Yuuzhan Vong sacrificed their own body parts, as well as other living beings, in rememberance. The Yuuzhan Vong named themselves after him, believing to be his chosen children. To call them "Vong" was considered a sacrilege because it implied that they were no longer favored by Yun-Yuuzhan. Only the Supreme Overlord could address Yun-Yuuzhan, and he was ritually scarred and modified to resemble the chief deity. When the Yuuzhan Vong superstitions and Republic disinformation campaign began to cause the superstitious Yuuzhan Vong to believe that their gods had joined the enemy and incarnated as various Jedi, they began to believe that Luke Skywalker, as the founder of the new Jedi Order and leader of the Jedi, was the incarnation of Yun-Yuuzhan. Yun-Harla, literally translated, "The Trickster" was the goddess of deception. Yun-Harla was known as the 'cloaked one', and it was she who had authority over Escalations. Yun-Harla was the sister of Yun-Yammka, the god of war. Together, they were known as the Twin Gods. Yun-Harla was primarily worshiped by the hightly political Intendant caste, but she frequently was worshiped in tandem with Yun-Yammka by the Warrior caste. Unlike the other Yuuzhan Vong deities, Yun-Harla's appearance varied depending on the shaper who created the statue. It was believed that she masqued her appearance from the Yuuzhan Vong, but that her skeleton was made of yorik coral. Her sacred day was known as the Festival of the Twin Gods, and it was only on this day that the normally somber Yuuzhan Vong were permitted to play tricks and jokes on their superiors without the threat of punishment. During the Yuuzhan Vong war, Jaina Solo was thought by many Yuuzhan Vong to be the incarnation of the goddess. Jaina had discovered techniques to fool the Yuuzhan Vong sensors, and her strategies and trickeries were legendary among the Yuuzhan Vong. Yun-Yammka, literally translated "The Slayer", was the god of war for the Yuuzhan Vong. Yun-Yammka was most revered by the Warrior caste. He taught the Yuuzhan Vong the importance of death sacrifices, and was dubbed by the New Republic as the single most dangerous ideal in the Yuuzhan Vong society. All Warmasters were rescarred and formed to fit the image of Yun-Yammka, but in statues or other forms of art he appeared similar to that of a Yammosk, the Yuuzhan Vong tactical coordination biot. Like Yun-Harla, New Republic disinformation campaigs and Yuuzhan Vong superstitions caused the Yuuzhan Vong to begin to believe that Jacen Solo was the incarnation of Yun-Yammka, due to his amazing power in the Force. Many years after the end of the Yuuzhan Vong war, Yun-Yammka was known as "The Ganner" since it was believed that Ganner Rhysode was a second incarnation of the god. Jedi Ganner Rhysode killed literally hundreds of Yuuzhan Vong warriors single-handedly while buying time for Nom Anor and Jacen Solo to escape before he finally died by bringing down the roof atop the army and himself. Yun-Ne'Shel, literally translated "The Modeler", was the goddess of life among the Yuuzhan Vong. Patron goddess of the Shaper caste, Yun-Ne'Shel represented procreation, life and creativity. She was often protrayed with farming or shaping tools, infants and gentle animals, and was the only Yuuzhan Vong deity who did not demand sacrifices or promote violence. Like Yun-Harla, Yun-Ne'Shel was often worshiped in tandem with Yun-Yammka. The Warrior caste believed she would grant them new battle strategies. Yun-Ne'Shel taught of a peaceful coexistance with all other life. Yun-Yammka and Yun-Harla shattered the ideal, however, and this was reflected in the Yuuzhan Vong society as the Warrior caste took the shapers' creations and turned them into weapons of warfare. Because of this, the goddess was often dubbed as being the most foolish of the Yuuzhan Vong dieties. After Jedi Knight Tahiri Veila was nearly turned into a Yuuzhan Vong by shapers, the Yuuzhan Vong began to beleive she was the incarnation of Yun-Ne'Shel. Yun-Txiin and Yun-Q'aah, known simply as "The Lover Gods", were the gods in charge of relationships and reproduction within Yuuzhan Vong society. Relationships with another Yuuzhan Vong outside of one's caste was forbidden, and offenders were sacrificed to these gods. Unlike the other Yuuzhan Vong deities, Yun-Txiin and Yun-Q'aah were not believed to have taken the form of a Jedi Knight. Yun-Shuno, literally translated "The Pardoner" was the goddess of the Shamed Ones. Yun-Shuno was the goddess of forgiveness, and was the only deity the Shamed Ones were allowed to address. She was said to possess a thousand eyes which she used to watch over the Shamed Ones and protect them. It was also said that she could restore one who was Shamed and return them to the station they held prior to being shamed. Yun-Shuno had the most grotesque appearance of all the Yuuzhan Vong deities to reflect the appearance of her worshippers. Despite her congregation, Yun-Shuno still had a place of grudging respect among the pantheon, and was placed on the bridge of starships along with other gods like Yun-Yammka and Yun-Harla. The Yuuzhan Vong culture was centered around their gods. Pain was a fact of life for the Yuuzhan Vong, and the embraced it willingly. There was no such thing as painkillers among the Yuuzhan Vong; many had masochistic tendancies and enjoyed their pain, paticularly among the Praetorite Vong. Devotional ceremonies to gods called for blood letting at each ceremony. High value was placed on ritualistic mutilation and scarring. It was believed to show a high level of devotion to the gods, and was a symbol of prestige among the Yuuzhan Vong. Implants did not always succeed, however. Should an implant become infected around the implantation site, or should the implant be rejected by the body of the wearer, the individual became Shamed. Shamed Ones were at the bottom of the Yuuzhan Vong caste system. They were forced to bow and scrape before every other non-shamed Yuuzhan Vong, and were frequently used as slaves or cattle for sacrifices. Warriors who failed in combat too badly or were too injured for the shapers to heal, yet would still live, would also become Shamed. The caste system was very important to the Yuuzhan Vong. An individual socialized and reproduced only with those in the same caste, although members from different castes worked together on a professional level. Infants were placed under the care of a creche, rather than being raised by their birthparents. The creche caretakers named and raised Yuuzhan Vong children, and were responsible for their well being and a healthy religious growth in the children. Deformed children were killed at birth. Twins held a great importance to the Yuuzhan Vong. Yun-Yammka and Yun-Harla were the Twin Gods. According to legend, Yun-Yammka and Yun-Harla fought one another constantly for Yun-Yuuzhan's approval. The rare set of twins who would be born into Yuuzhan Vong society would eventually be made to fight one another to the death in honor of the godly battle, and was considered a prelude to great destiny by the surviving twin. When the Yuuzhan Vong began to believe that Jacen Solo and Jaina Solo were the incarnations of Yun-Yammka and Yun-Harla, many attempts were made to try and get the two to fight one another. It was ironic that years later the twins would fight one another to the death; Jacen Solo under his new Sith name of Darth Caedus, and Jaina Solo in her responsibities as Sword of the Jedi. The Supreme Overlord caste was held by only one individual; the Supreme Overlord himself. Also known as The Supreme One, God-Chosen, Most Potent and Powerful One, Great Lord, August Lord, or the ever popular Dread Lord, the Supreme Overlord had command over the military forces of the Yuuzhan Vong, and was the spiritual leader of their entire society. Only the Supreme Overlord could speak with Yun-Yuuzhan, the creater and master god. Essentially a god-king, the Supreme Overlord was considered by many to be the incarnation of Yun-Yuuzhan. Succession was not hereditary. Instead, new Supreme Overlords were chosen from a select pool of candidates who were signified by omens and prophecies. 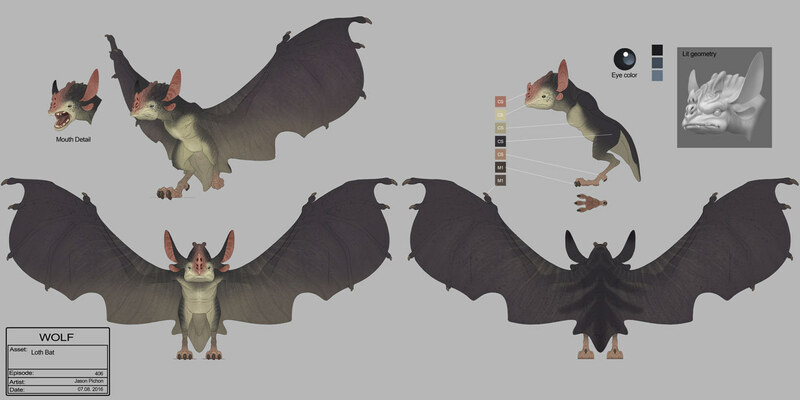 Twins were the most likely candidates, as they were considered holy to Yun-Yammka and Yun-Harla to begin with, and were thought to be heralds of great destiny. Most often, however, the Supreme Overlord was chosen when one potential successor murdered the current Overlord and took his place. Each succeeding Overlord wore ceremonial robes made from the flayed and preserved flesh of Steng, the first Warmaster, and Yo'gand, the first Supreme Overlord. Once chosen or ascended to the Supreme Overlord, the new Overlord was ritually scarred and implanted with biotics to make him appear the incarnation of Yun-Yuuzhan. Politically, the Supreme Overlord was the Head of State and Government (Intendant caste), Commander and Chief (Warrior caste) and Supreme Religious Leader (Priest caste). Wound in the Force: The Yuuzhan Vong are wounds in the Force. As such, they cannot be sensed or directly affected by the Force. Powers like Life Sense or Lightsaber Combat will not work, but indrect applications of the Force (such as hurling an object at them) will work. Caste: The Supreme Overlord is the highest ranking Yuuzhan Vong. Each Yuuzhan Vong is culturally trained to obey him in every way. The Supreme Overlord recieves an additional +3D to Command when the obedience of his men is in doubt. This bonus only applies when used against other Yuuzhan Vong. Fearsome Appearance: The Supreme Overlord is a very ugly and fearsome individual. The Overlord is ritually scarred and carries many biotic implants to make him look like a supremely powerful god-king, and even terrified other Yuuzhan Vong. The Supreme Overlord recieves an additional +4D Intimidation against both Yuuzhan Vong and non-Yuuzhan Vong. "The caste nearest the great god, Yun-Yuuzhan, who shaped the universe from his body. It is they who know the ways of life, who bend it to our needs." The Shaper Caste was responsible for creating everything used by the Yuuzhan Vong from weapons to starships to clothing. The Shapers were the engineers and scientists of the Yuuzhan Vong, although each position was bundled under the term 'Shaper' in their society. The art of Shaping was governed by strict laws, as what was known in the Infidel society as "The Scientific Method" was forbidden to Shapers. Shapers created biots using techniques passed down from one generation to another, learned through the Cortexes. Deviation from the methods or creatures stored in the Cortexes was paramount to blaspheme against Yun-Yuuzhan. Legend said that Yun-Yuuzhan himself created the Cortexes and stored all the knowledge the Yuuzhan Vong would need inside them. A Cortex was a very complicated biot that served no purpose other than to store information. A Shaper would merge minds with the Cortex and learn by almost literally "downloading" the information into their heads. There were eight Cortexes, and each contained different levels of knowledge. Beginner Shapers were only allowed access to the First Cortex, but as they rose in rank they were allowed access to each successive Cortex, which contained higher and more complicated knowledge. Unfortunately, this process meant that the Shapers had very little ingenuity, and their methods and the possible creations they could devise were limited to those listed and governed by the Cortexes. This ultimately caused Supreme Overlord Shimrra to ask Nen Yim, a Shaper already condemned of heresy, to invent new Shaping techniques to fill the Eight Cortex, a highly kept secret, as it was nearly empty. Physically, members of the Shaper caste differed much from other Yuuzhan Vong. Unlike other caste members, Shapers engaged in only necessary scarring and implantations, making them the closest to aesthetically acceptable to other species a Yuuzhan Vong could become (though still quite ugly to humans). Shapers of any rank wore a Shaper Headdress, possibly a law enacted by other castes as the Shapers were reknown for trickery. Shapers also wore a biotic implant known as a Shaper's Hand. As they advanced in rank, the hand would be replaced with a better biot with more effective instruments, and Master Shapers replaced both their hands with Shaper Hands. Shapers were also responsible for the implantation of biots into other Yuuzhan Vong, and were the closest equivilant to doctors in the Yuuzhan Vong society. Caste: The Shapers were well respected among many Yuuzhan Vong, provided that they dutifully shaped biots for that caste in due haste and were efficiently painful as they replaced body parts for a biotic implant. Shapers recieve an additional +1D to Persuasion due to cultural influence. This bonus only applies when used against other Yuuzhan Vong. Fearsome Appearance: The Shapers are ugly beings, but not as repulsive as most other Yuuzhan Vong. Shapers recieve an additional +1D for Intimidation. This bonus only applies to non-Yuuzhan Vong. Shaping (Technical): Governs the character's ability to control growth and genetic manipulation of Yuuzhan Vong biotic creatures. Difficulties: Very Easy for simple biots such as Robeskins. Easy for slightly more complicated biots, such as cloaks. Moderate for basic Ooglith creatures. Difficult for basic Vonduun Skyrr Kyrric and other base level biots. Very Difficult for more complicated and advanced biots, such as Shaper Hands or creatures. Heroic for advanced biots such as Cloaks of Nuun, starship biots such as Coralskippers or creatures such as the Voxyn. Heroic +10 for genetic manipulation of microscopic organisms. Biotic Implantation (Technical): Governs the character's ability to implant biotic creatures into another Yuuzhan Vong. Difficulties: Easy for simple biots such as Command Cloaks. Moderate for more advanced implantation, such as the combination of two creatures into one symbiotic whole (such as putting together Vonduun armor) Difficult for the replacement of limbs with a biotic organism, such as a Shaper's Hand. The Priest caste was one of the most influential castes of the Yuuzhan Vong. The Priests were those chosen to speak for all the gods, except for Yun-Yuuzhan, who spoke only through the Supreme Overlord. The Priests served as the go-betweens for each other caste and their patron god. They did not have their own god, but members of the Priest caste could be found in each group of Yuuzhan Vong, regardless of caste. Priests were most often consulted by the Warrior caste as they sought favor in battle. Should the Supreme Overlord die, his successor would be chosen by the Priest caste from a pool of well bred and influential individuals. It could be said that the Supreme Overlord was a member of the Priest caste, if he were not above and seperate from them. Caste: The Priest Caste was perhaps the most influential caste in Yuuzhan Vong society save for the Supreme Overlord himself. Frequently, the Priests could manipulate members of other castes in order to achieve their own goals. Members of the Priest caste recieve an additional +1D to con and +4D to persuasion if they can logically include religious support for their persuasions. This bonus only applies when used against other Yuuzhan Vong. Fearsome Appearance: The Priest caste engaged in ritualistic scarring, tattooing and biotic implantation. Priests recieve an additional +2D to intimidation. This bonus only applies to non-Yuuzhan Vong. The Warrior caste was the second largest caste of Yuuzhan Vong. A group of individuals born, raised and bred to battle, the Warrior caste was the military backbone of the Yuuzhan Vong, and a major political influence in their society. Often the most fanatically devoted to the gods out of all castes, the Warrior caste worshiped Yun-Yammka as their patron god, and would sacrifice body parts as well as scar and tattoo themselves, using their pain as an honor to him. From birth, Warriors were trained to fight without fear or mercy, and to obey orders without question. They were the most visually successful caste of the Yuuzhan Vong, and had a strong sense of self-importance because of it. To the Warrior, surrender was not an option, and retreat was a sign of cowardice. Each warrior was taught to commit suicide rather than be captured, to avoid shaming their Domain. Caste: The Warrior caste was one of the most influential castes, though only because of their military strength and numerous victories in combat. Members of the Warrior caste recieve an additional +2D intimidation. This bonus only applies when used against other Yuuzhan Vong. Fanatacism: Members of the Warrior caste were fanatically devoted to their ideals. Warriors recieve an additional +5D Willpower against persuasions relating to their loyalty and the rightness of their cause. Fearsome Appearance: The Warrior caste engaged extensively in self-mutilation to honor Yun-Yammka. Warriors receive an additional +3D intimidation. This bonus only applies to non-Yuuzhan Vong. "If we had a battle cry, it would be, 'Have you triple-checked this with your superiors?'" The Intendant caste was the political and economic backbone of the Yuuzhan Vong. The Intendants were responsible for maintaining supply lines and closing them to the disobedient. They grew and trained the creatures created by the Shapers, and many Intendants served as spies. Unlike the Warriors or Shapers, the Intendants had the ability to adapt. They were not so brainwashed in training that they were unbendingly devoted to the gods' wills, although many, such as a breakoff sect known as the Praetorite Vong, were devoted even more than Warriors or Priests. Fearsome Appearance: Intendantes recieve an additional +2D to Intimidation. This bonus only applies to non-Yuuzhan Vong. The Worker caste was the largest caste of the Yuuzhan Vong. The Worker caste was comprised of Yuuzhan Vong who were born into the caste, those who had failed in their original caste, Shamed Ones and slaves. They were looked down upon by the rest of the society, and the Warriors and Intendants treated the Worker caste with open hostility. The Yuuzhan Vong are in fact non-Force users to a better comparable term. If they were Wounds in the Force they should have needed to feed on the Force and being able to use it unnaturally,but they didn't as far as I recall. So it is really a matter of question if the Vong are,or aren't Wounds in the Force. Being cut off from the Force doesn't make you necessary a Wound in the Force. The Vong are an some kind of non Force users with a Force concealment mode. They can be affected by Force powers, but not felt. The Vong are not from a different galaxy,they were banished from the Force. Left the galaxy, wandered the void for an unknownly long time, and came back thinking it was a different galaxy. You can't be born outside of the Force. The Force it is a thing that flows through everything and everyone. Only the Wounds are the special case. A non-Force user has the Force,but it is stagnant or dormant. Whoever you are, you really need to go back and do your homework on the Yuuzhan Vong. Go to this link and read their history. And shame on you. The Yuuzhan Vong were not Wounds in the Force. Yes and no. Depends of how you define "wound in the force". If you're going by how it was portrayed in KOTOR 2, I can see the difference, but that was not the only way a "wound in the force" could be created. In the Yuuzhan Vong's case, their original homeworld was living and sentient, very much alive and thinking, and it had a symbiotic link to the Yuuzhan Vong. When they began fighting themselves and destroying planets in their home galaxy, they destroyed their homeworld. This event killed their sentient homeworld, and due to the symbiotic link, the backlash affected the Vong psychologically, as well as severing their connections to the Force. If you look at the wiki page for "Wound in the Force", the very opening statement on the page says these are catastrophic disturbances in the Force brought about by traumatic events like the sudden extinguishing of many lives. In the Vong's case, the life was their homeworld, which was a humongous living being overly ripe with the Force and life itself, and the Vong as a species became the "Wound in the Force".